Though he has long been one of YouTube’s top stars, Casey Neistat has never sold his own merchandise — until now. After partnering with Fanjoy, the vlogger and entrepreneur has launched a collection of hoodies and t-shirts. As Neistat explained in one of his latest vlogs, he had long planned to sell his own merch, but he did not act on that desire until recently. In particular, he cites two people who helped push him toward the eventual launch of his official store: His friend Roi Elfassy, who volunteered to create designs for Neistat-branded clothes, and YouTube star David Dobrik, who introduced him to the team at Fanjoy. Now, with a little help from his friends, Neistat has offered up the first items in his personal merch line. Black hoodies emblazoned with white logos are available for $44.95 each, while t-shirts featuring Neistat’s initials are selling for $26.95 a pop. 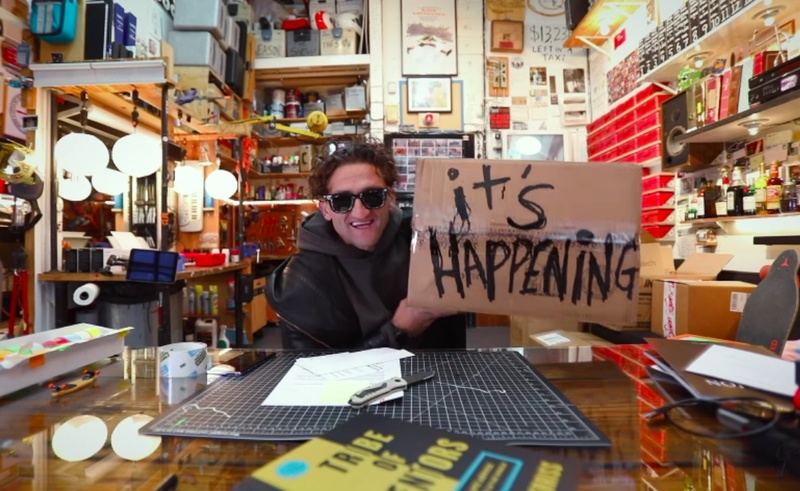 While the new clothes are the first pieces of merchandise Neistat has sold, he has tapped the spending power of his fans on several previous occasions. In particular, he has led numerous charity drives, including a 2016 fundraiser benefitting Charity: Water, a 2017 campaign for Red Nose Day, and several initiatives directed through his #LoveArmy brand. Neistat’s carefully-crafted and slickly-edited vlogs have allowed him to gather more than 8.3 million subscribers on his official YouTube channel. He is one of several YouTube stars to sell merch alongside Fanjoy. The company’s other clients include Dobrik, Jake Paul, and Zane Hijazi.